I’ve been waiting for Amelia’s book since the very first Toni Aleo book I read, which was Taking Shots. And I’ve been waiting for Amelia and Chandler’s story since End Game. 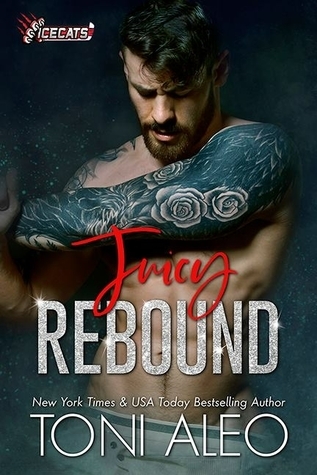 When Juicy Rebound finally arrived, my heart was full. This was the perfect reunion and healing book. Amelia needed the simple love and devotion of Chandler. And Chandler needed to give his pure love to someone who deserved it and could love him back. I was a little concerned when Chandler and Amelia first reunited because he was persistent in asking her out. However, it wasn’t creepy but rather showing that he wanted to be there for her in any way she’d let him. What started as a rebound for the both of them quickly grew into something more. As much as I loved their relationship, I also loved watching Amelia’s relationship with her family heal. The life choices she and her family made drove them about but part of her healing is reuniting with them as well. Her relationship with her cousin Shelli didn’t suffer and I loved her subplot and hints at her future. And you know I’m anxiously awaiting Shelli’s book now too! Juicy Rebound is, quite simply, a book of healing and love. And it will be a reread book for when I need that simple beauty in my life.